Coming to Thailand for the second time and want to change hot resort atmosphere? The northern province Chiang Mai would be an ideal option. Ancient temples, scenic parks and mountains covered with greenery – all of it awaits you in the largest city of the northern region. Chiang Mai Zoo – one of the best parks in Thailand – will be an ideal choice for a family visit and memorable place of your trip. Chiang Mai Zoo is located on the outskirts of the city and occupies an extensive area covered with natural greenery, trees and flowers. 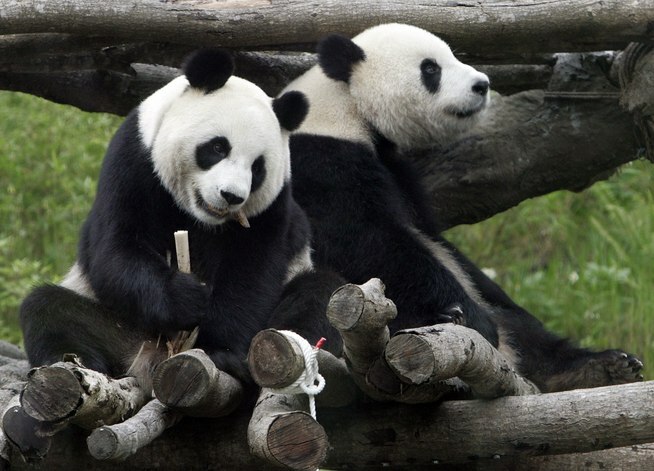 The spacious open-air cages, where is recreated all conditions of real habitat, you can see all kinds of animals as harmless herbivores, as well as threatening predators, dozens of species of birds and, most importantly, a couple of really cute pandas, peacefully munching bamboo. In addition, there is a large aquarium on site. Small friendly town, or even a little village, is located in a few hours away from the capital of the province and is literally surrounded by picturesque natural attractions: going out of the city in any direction you anyway will find a small river or a hot spring, picturesque tropical garden or a little botanical corner, majestic mountain or unique viewpoint with a stunning view. If you want to inspect the untouched Thailand nature, you should to do it from a height: spectacular Huay Kaew waterfall is ideal place for lovers of breathtaking views. It’s pretty easy to get to – the waterfall is located just in a short drive from the Chiang Mai Zoo, in the Doi Suthep Pui National Park. You can relax at the foot of the hill on the soft grass, contemplating the beauty of falling water, or climb to the peak and enjoy stunning views of the green valley. Unforgettable impressions are guaranteed.